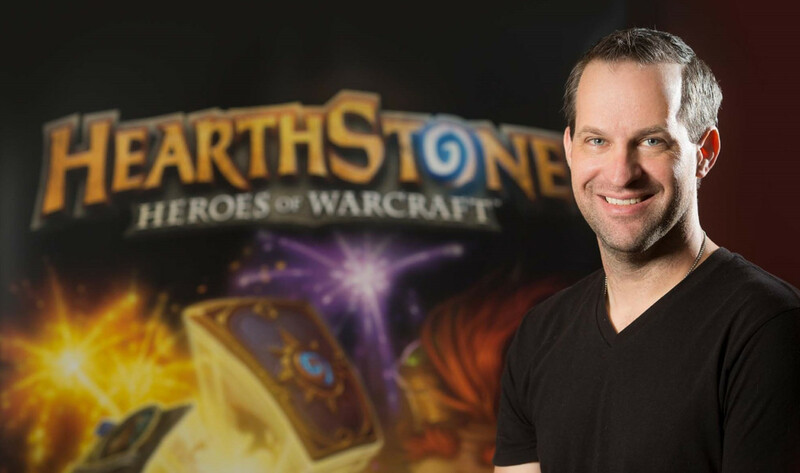 Matt chats with Hearthstone art director Ben Thompson about what the upcoming expansion means for Blizzard's popular CCG. Q: What was Blizzard’s view of the meta game prior to work on The Grand Tournament, and where did you want to take it with this new expansion? Ben Thompson: We’ve been really excited in all of the expansions and adventures to celebrate some new facet of the game – or even one that shipped with the game in the case of DeathRattle for Curse of Naxxramas – but do so in a way that introduces players to new ways to play with that mechanic. Mechs with Goblins vs Gnomes introduced a whole new character type and different combinations therein, and now The Grand Tournament with its Inspire keyword and entirely new sets of decks built around your hero are going to really change up current decks, but also allow them to continue to be built in new and interesting ways. We’re really looking forward to The Grand Tournament allowing the hero to take front and centre action on the board instead of kind of feeling like a little bit of punching bag at times if you consider the non-warrior non active classes that can deal damage themselves. This gives them a place in the fight and really gives them an ability to make a palpable difference on the board. Q: How do you balance something like Inspire mechanic? There’s already rampant speculation online as to which classes will benefit most. Ben Thompson: When you consider that there’s over 130 new cards in there and that we’ve seen 18-20 at this point, there’s still a lot of cards to come. So, that’s gonna show quite a bit of the breadth of change that Inspire can bring. But every class will benefit in some way, shape or form, just through the way the meta will change. And the tools that it’s gonna give you to deal with current deck types that are out there and seeing a lot of play, and the way it will introduce new ones we haven’t even thought of yet… We’re really excited to see what the community does with this keyword and the kind of decks they can build with it. We’re often surprised and really excited to see they bring up – stuff we didn’t even think of. When you consider we’ve got three or four guys on a balance team on Hearthstone banging away at this every day, there’s just so many permutations that come from that count of cards. Q: How did you settle on 132 new cards for The Grand Tournament? Ben Thompson: I’m not sure that it’s ever really discussed in an exacting number. So far I don’t think we’ve released a set, expansion, or adventure yet that has exactly the same number, because what it comes down to is: have we introduced enough tools or enough meta changing cards to really affect gameplay in a positive way – to really give players more deck building options and opportunities for excitement? I think once that number if reached – whatever it is – it’s kind of more of a vibe and feel of the set as a whole thing, not so much a numeric quantity we’re trying to hit. Q: Are there any cards that you feel are under- or over-powered? We’re really excited to see what the community does with this keyword and the kind of decks they can build with it. Ben Thompson: I can’t speak to the minds of the balance team or the design team. Everybody has favourite cards in the deck, and everybody has a least favourite. It probably depends which side of the card you were on when you were dealt that killing blow or dealt the blow yourself. Q: Grand Tournament cards have been used at a few events – how’s the feedback been so far? Ben Thompson: So far there’s been a lot of excitement. During the announcement with Eric Dodds in Los Angeles a week passed, they had three exhibition matches and finally the match between– I believe it was Amaz and Firebat in the final. Everybody was really excited by what Inspire brought to it. They felt that it really celebrated a lot of the skill and timing, and how players introduced that to their decks and modes of play. What’s really important to consider is that was just a small snippet of cards coming out in The Grand Tournament, so there’s gonna be even more that come after that. Q: Are new classes a consideration at this point? Ben Thompson: Not at this point. We really feel strongly that the nine original classes that were introduced at release which mirrored the release of World of Warcraft and the classes found there are more than enough to keep the game exciting and keep people coming back and trying different decks and modes of play. 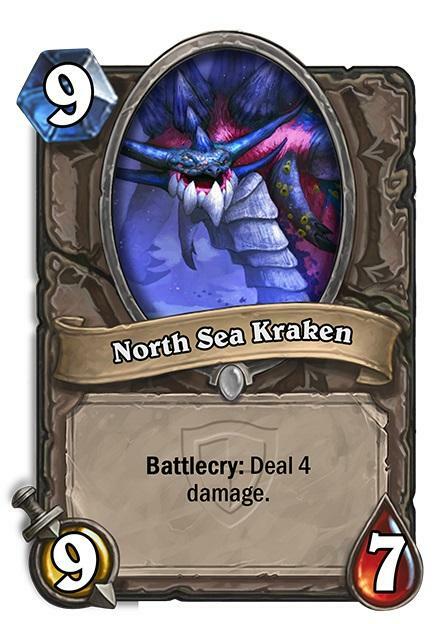 You introduce a new card or a keyword and that changes the meta as much as it does, so introducing a new class would really turn the game on its head. Since Hearthstone has released we have tried to keep it a game that is for everyone. Q: Why is there no actual tournament mode in The Grand Tournament? Ben Thompson: The community has been an awesome and very vocal as to what they like and wanna see in the game. We’re working with them as much as possible to find out what excites people. At the same time, you have to consider too that on top of The Grand Tournament coming out, we have been introducing new heroes and all sorts of different stuff into the mix. So, for a team that’s not as small as it was when Hearthstone originally shipped, we’re still relatively small considering how much content we are trying to keep up with, and keep the player base playing in as many ways as possible. Q: What’s developing the expansion been like for you and the art team? Ben Thompson: This expansion is a whole lot of fun for the team as a whole, but for the art team in particular. This is one of the first times we got to kind of bend away a little bit from what World of Warcraft has set in terms of their history and their canon. While it is loosely based on the Argent Tournament, it was felt that the Argent Tournament kind of speaks to a former version of World of Warcraft, or a former era with the Lich King. We had a lot of creative licence, and we worked with Chris Metzen and the creative team there to expand on the story and just say, ‘What if it’s a tournament they continued to hold ‘cos they just had fun doing it?’ We got to introduce things like orc pirates riding parrots, or mechanical mech gnomes riding a mechanized tortoise. This is the sort of thing that makes artists giddy – it makes you wanna figure out what these new visuals can add to an already very visually rich universe. Q: With the game soon to be two expansions deep, some players could find it difficult to keep up without pouring money into packs. Will Blizzard ever offer complete sets – perhaps minus legendaries – so that more casual players have enough cards to keep up with the meta? Or is that against the spirit of the game? Ben Thompson: I think that sounds interesting and it’s something I’m sure the design would have to consider as a whole, along with its impact on the game. Since Hearthstone has released we have tried to keep it a game that is for everyone. In that we mean not just people who have been with us since day one, but also the people who are starting their own day one next week, you know? It is something we’re aware of, and we have actually hired a new designer to the team. She been on for a few months now, and her whole job is new player experience. So it is something that we do continue to consider very, very important for us and the game as a whole. Fostering new players into the experience in a way that feels good for them and feels well-paced with the content is never overwhelming is something that we’ll continue to strive for. Q: Will more custom deck slots ever be added? Ben Thompson: It’s something we’ve heard a lot from the community, it’s something we agree is worth looking at, and we continue to discuss how and where that fits within the user interface. It sounds like an easy fix, but it’s one of those things that does change pretty significantly how the user interface is laid out – especially when you consider the differences between the iPhone, iPad, other phones and tablets, and desktops. So it’s something we continue to look at, and it’s something the user interface team and design team are talking about. 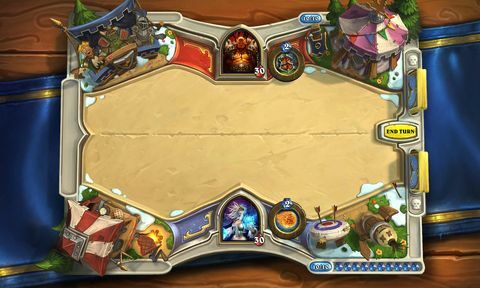 Q: Do you think we will ever see a console version of Hearthstone? Ben Thompson: It’s an intriguing prospect. At this point there are no plans to head in there. Again, considering how much content we are trying to keep supported for the platforms we’re on, and considering that those platforms already include tablet, phone, and desktop, that’s a lot to keep parity between. It was really important to us in including just those three that it always feels like the same game. 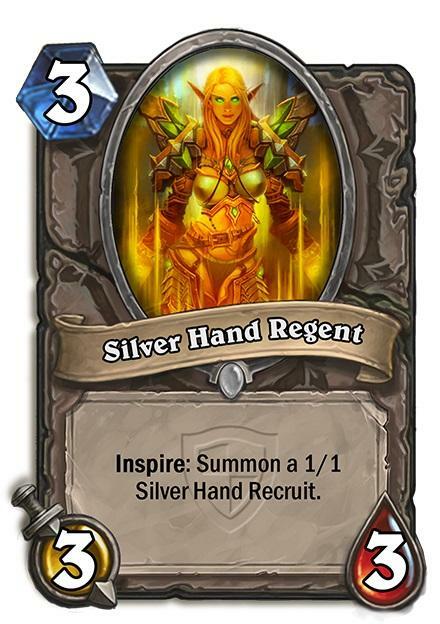 So, to try and introduce a fourth one at this point and still maintain new content like Tavern Brawl and other UI changes is maybe a bit steep for the number of people we have and the allocation of resources, if you will. Q: Has Tavern Brawl performed as expected? Ben Thompson: We’ve been thrilled – it’s super fun to play. Everybody comes into it with different hopes and expectations for what this mode or that mode will provide. Some really speak to some people, and others are maybe not as interested in that mode for that week, but that’s the beauty of it – every week it’s different and every week it’s new. And it really provides us an opportunity to play with and interface with the game in a way that could be fun, but which we’re not sure about. We wanna try different things and keep the excitement in the game in a new way, so it’s not always about building a new deck or picking a specific class you’re comfortable with. Q: With the expansion release so close, I’m guessing you and your art team are just tweaking things now? Ben Thompson: Gosh I wish it was all just tweaks! We all work pretty consistently up until the end. As you know, Blizzard is an iterative group in terms of the art, the design, and the engineering. So, we’re consistently making fixes and adjustments and changes, tweaking textures, and polishing stuff here and there so it feels Blizzard quality when it comes out – it feels done. Hopefully there will be some nice fun surprises in store when it comes to clickables on the board because of that, or just the way in which different effects look or feel when they go off. All of those things are continually looked at up until the point that we release the game. Ben Thompson: We’re really looking forward to players getting their hands on the expansion. We couldn’t be more excited to introduce this new keyword, and to get some heroes off the back of the board and into the fight. We can’t wait to see what people do with this and the kind of decks that they bring to the table.